One day a young Buddhist on his journey home came to the banks of a wide river. Staring hopelessly at the great obstacle in front of him, he pondered for hours on just how to cross such a wide barrier. Just as he was about to give up his pursuit to continue his journey he saw a great teacher on the other side of the river. The young Buddhist yells over to the teacher, “Oh wise one, can you tell me how to get to the other side of this river”? As human beings it seems as though we are constantly trying to get somewhere. More stuff, better job, next vacation, I think we can all relate to the young Buddhist in this Zen story about the other side. It is almost as if we are shouting to the world, How do I get OVER THERE? Or more implicit, right HERE is not enough so how do I get over THERE? Therein lies the beautiful message of the story. We are already there. There is nowhere to get to. Life is beautiful right where we are at. This moment is perfect exactly how it is. Life unfolds the way it unfolds. Our context, our view of this world will be our experience. Einstein said our greatest question is whether we view the Universe as kind or as evil? 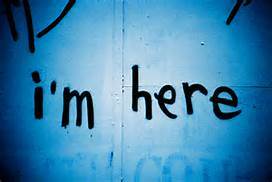 When I hear someone express frustration in where they are at in life, I always ask a simple question- And then what? 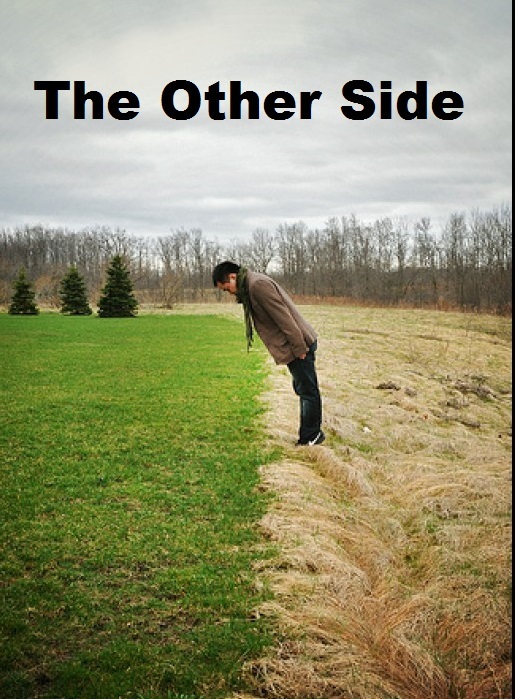 The other side is not the answer. Once we stop striving to GET SOMEWEHRE, we get off the hamster wheel and we find peace in this moment because it is all we have. Stop. Breathe. Get that there is nowhere to get to. This moment right now is perfect. Get off the hamster wheel, take note when you are on this never-ending wheel and take gratitude for this moment. As human beings we have active minds. Minds that view the world in a certain way and impose our will in the way things should or should not be. We voice our opinions, even dictate the way life should be not only for ourselves but the world around us. We are quick to throw stones and in this way of being we miss the world around us exactly as it is…and it is beautiful. Your life is a series of right nows….RIGHT NOW….ACCEPTANCE. There is no good or bad just simply what is happening right now….GRATITUDE. Your context creates the rest. Albert Einstein said the most important decision we make is whether we believe we live in a friendly or hostile universe. Same universe, simply context. This is our life. Set aside judgment. Set aside expectations and BE…BE in this moment right now. Life is beautiful right now, choose happiness, choose love, choose gratitude. BE in this moment right now, right now is all you will ever have. Choose which life, which universe you want. Your life is a mirror of this choice. Author of A Cup of Buddha and soon to be released Is that so? This past week brought a triple whammy my way- moving, Thanksgiving and Black Friday. Through all of the boxes, and endless excess at the dinner table and store lines, all I could think about was that I was in the trap. I was the hamster on the treadmill. I was in the Matrix readily consuming what others or the TV were telling me to consume. I vacillated between gratitude for my life and the utter complexity of the trap itself. Another year, another holiday, another ‘thing’ that someone has to have or do, or worst of all a way that someone has to be. I began to fill box after box and labeled them GOODWILL. The question on the tip of my tongue was, what did I really need? The only thing I really cared about in my place were my books, everything else was just trinkets of stuff that ultimately I could not take with me on the big journey. As the stress of the week began to confront me I began to laugh. I needed to release my cows. It was clear to me. I laughed as I remembered this Zen story told by Thich Nhat Hanh. “One day the Buddha was sitting in the wood with thirty or forty monks. They had an excellent lunch and they were enjoying the company of each other. There was a farmer passing by and the farmer was very unhappy. He asked the Buddha and the monks whether they had seen his cows passing by. The Buddha said they had not seen any cows passing by. The farmer said, “Monks, I’m so unhappy. I have twelve cows and I don’t know why they all ran away. I have also a few acres of a sesame seed plantation and the insects have eaten up everything. I suffer so much I think I am going to kill myself. So the farmer thanked him and ran away, and the Buddha turned to his monks and said, “My dear friends, you are the happiest people in the world. You don’t have any cows to lose. If you have too many cows to take care of, you will be very busy. Simplicity is a way of being. Having stuff or owning things is not the culprit, it is who you are being in the face of these things. It is in this non attachment where we find happiness. I choose to release my cows. 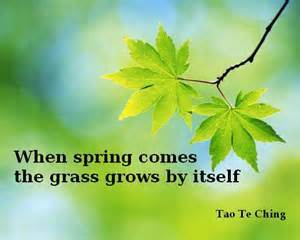 Lao Tzu summarized this way of being quite well. Yes it does. The whole word belongs to you and you to the world. The beginning is the end and the end the beginning. 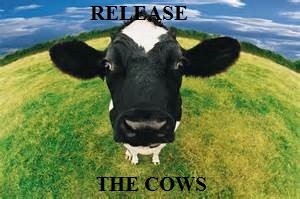 Release your cows. Look in your life where you are attached. What can you release? Live now, Live in this moment, not for things. It is who you are not what you have. Find these moments to rejoice. These thoughts from Buddha were in my mind a few weeks ago. I felt in a rut, restless, and a busy mind as if life was winning. I felt defeated in many ways, I was resisting and I was tired. I’ve always found solace traveling, typically by myself, and driving for long periods of time. I enjoy the simplicity of driving, one singular action, a physical mantra that allows the non action part of my brain to dream, to explore, to sort things out. When we are in the middle of the forest and consumed by the busyness of life our subconscious aches to get out, to resolve the challenges we face. Driving is my cathartic action to purge this suffering that had crept within me, this clinging to past people and events and any hopes for the future. Driving and traveling force me to be in the present, like a curious child where everything is new. Exploring life with a close family member, taking each day as an adventure with no plans, just a commitment to exploring and fun. I met amazing people and laughed….really laughed. Life is filled with laughter if you are open to it. An initial awe in seeing the Arizona fires from the freeway where I looked in wonder at the raging flames, in their sheer power and glowing lights only to hear moments later they had just taken the lives of 19 fireman. I saw a veil of sadness cover Sedona, a black haze, that clung to the landscape reminding me of how precious life was in every moment. I hiked into a remote canyon in Sedona, a vortex of energy that you can feel in every step. I had left the car this day tired, tense and hot. I couldn’t shake the haze within myself or the haze from the fire. I stopped in the hike and closed my eyes on top of a boulder. I needed to reconnect with nature, with the universe, with the root of my inner being. I breathed, and cleared my mind. The noise in my mind stopped, and the wind answered me, announcing its presence. The dark clouds followed as if on cue to purge my sadness and the sadness of the lost lives. I opened my eyes and found a hummingbird next to me, the whir of its wings loud and intentionally sucking the nectar out of a flower. A row of ants marched next to me bringing life back to their home. I looked through the trees and saw two deer staring at me, not frightened but curious, wanting to know more. I felt alive again, refreshed, connected. I hiked back in a thunder and lightning storm, the booms and flashes danced above me as the rain washed away the sadness and clinging I was carrying on my bare back. I was reminded that I was that deer, and hummingbird, and flash of lightning, I was all of it. We are one in this symphony of life and death, a cycle of connectedness. The only moment we have is right now. I slept in my car and bathed in rivers. I met people with the curiosity of a newborn seeing them for the first time. I hiked under nature’s arches and canyon lands. I found the joy in the simplest things, a glass of cold water after a long hike, the surprise of seeing something unexpected, the laugh of a child. I watched and listened, not as an observer but as a participant in my own play, the creator of my own existence. In suffering I’m not a participant I’m an observer, looking at my life as a victim with no responsibility for my own creation. In the shadow of the moon and the stars I could no longer make this claim, it was clear that my life was a reflection of my own context and creation. I had no where else to look but in the mirror. I traveled north of San Francisco and went to sleep with the sunset over the ocean, and woke to a bed of fog. I met a new friend, connected long ago but never met in person, had an amazing conversation and became clear that our connections in life are intentional. There is a reason why people are in our lives. His kindness amazed me as he offered me his open apartment to stay for a night, even though he just met me. I trained in martial arts with a new club, they opened their arms to me and again I was reminded of the power of the human heart. I realized that life happens and it is through our lens in life, our view in how we perceive it. I saw kindness and love. This was the world that I was seeing. I traveled north to Mt. Shasta. I wanted to climb a mountain on my birthday. A solo, single day climb, a final purge of my attachment, a final cleanse in connecting to all that is in this universe. I left at 9 pm at night as I was told it would be 12 hours to the summit and another 6-7 hours down. I hiked for 3-4 miles in the dark of night, and the trail became faint and steep. It was clear that I was not on the trail any longer. In the darkness of the mountain I could only see 20 feet or so in front of me with my headlight. Initially I was frustrated and wondering what to do as I was by myself. Instead I took out my sleeping bag in my pack and sat on a flat rock. I turned off my headlight and sat in the grandness of the moment. I was sitting around 8000 feet on a mountain, far from any city, darkness consumed me, yet above was the glory of the universe spread out like I had never seen before. The milky way twisted above wrapping the billions of stars in a comforting blanket. I was a speck in the vastness of life itself. A drop from a vast ocean of love. If I hadn’t become lost, I would have missed this moment having been intent on my next step up the mountain, just as in life itself. Yet, in stopping and turning my light off, I saw it all. I sat for an hour breathing in this moment until I saw four headlights come up the trail. I quickly packed and joined my new group and off we went up the mountain. Many hours later and high up the mountain I saw the break of the sun, a long orange curve far off on the horizon. A beautiful red and orange slice of light breaking the extreme darkness, like a drop of water to a man in the desert. I kept going, hour after hour up that hill until finally I sat on top and looked down to the valley below, thousands upon thousands of feet below. In announcing I was on top of the mountain a friend posted, TC 1…Mt. Shasta zero. I smiled in this thought. Sir Edmund Hillary stated ‘it is not the mountain we conquer but ourselves.’ I did not conquer a mountain that day, in fact I am still dealing with messed up feet having paid my price for a 19 hour hike. 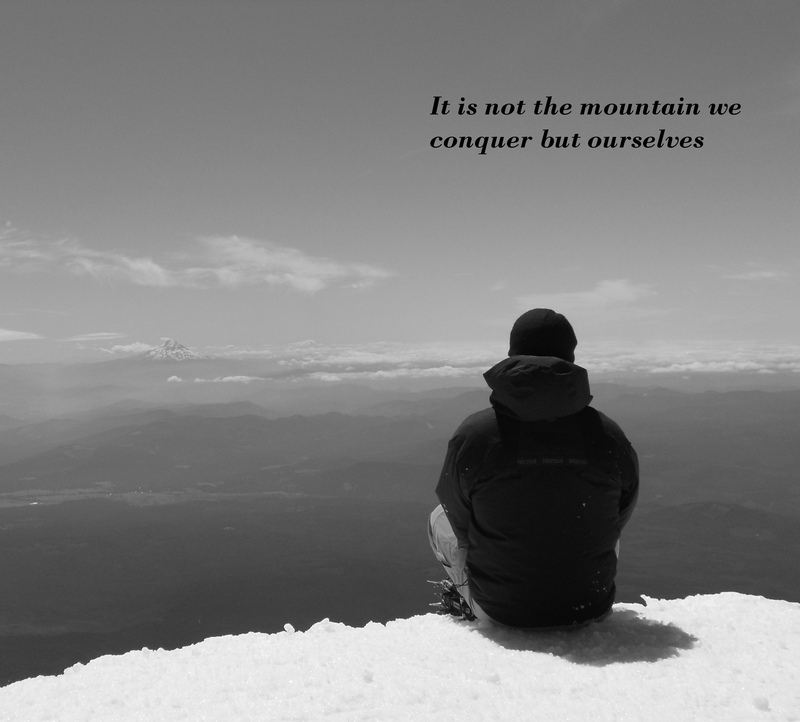 What I did conquer or come to the realization of was that I myself control my life. I myself can accomplish anything, through any pain or suffering, as I just need to keep moving forward, keep stepping, keep breathing. This is life isn’t it? Life brings whatever it brings to us, and removing our reminiscing of the past and our hope of some expected future, we realize life is beautiful right now. When we turn off our headlight, and sit on a rock we see the grandiose of life itself. It is there in front of us, it is created by each and every one of us. Life can be angry and cruel or it can be filled with love and beauty, it is all in our context. It is all created by us. We alone are responsible. As Buddha stated we cannot travel the path until we become the path itself. I set out on this trip to find something only to realize my path is within me and I am already on it. The path is beautiful, it is filled with love and compassion and happiness. It is all right in front of me. All I need is presence and curiosity and a willingness to be in these moments. A Zen proverb states that when you get to the top of the mountain to keep climbing. This is life. One step, one breath, always moving forward. In every moment I have gratitude and I am blessed for this experience, for this lifetime. Stop looking for ‘the path’ and become your path. Everything you need, everything you want is right in front of you. Be curious in the present, live like a child. Everyone is a teacher and a student at all times. Create your world, only you are responsible, there is no where else to look. Every moment is a learning experience. Hmmm…..really? It doesn’t seem like it at times does it. We have all had our bad days, and challenging life experiences but what about real issues….broken hearts, abuse, and even death. All of this is a learning experience….really? Our experience of life in this vessel that we are carrying around is simply our context. What if we shifted our context to a context that everything in life happens exactly the way it is supposed to? Everything. What if our context shifted from that of a victim, and of bad luck to that of gratitude for every moment? What would this look like? If we truly stood in the space of gratitude for every moment and that everything happens exactly the way it is supposed to then our context shifts to one who is always a student, always learning. Every challenging moment turns into a training and development moment for our inner self. This inner self that is so driven to connect back to the source, connect back to love. Standing in this space there are no mistakes or set backs, we simply get knocked down, we learn and we stand up again. The perseverance of our spirit far outweighs any perceived set back. The power of our inner self far outshines any darkness. Herein lies the missing piece. We are not this bag of bones that we stare at in the mirror. This thought makes me laugh in its smallness. We are powerful beyond measure. We are a divine light connected to everything. There are no limits to our capabilities. The universe conspires for our greatness. The universe is filled with love. Once we let go of our egotistical thoughts that we are alone, or that life is about us, we can connect to this greater source. I am you, you are me. We are divine and we shine bright. The paradox is in our humanness. Our mind tells us how different we are, and why others are to blame for our lot in life. We point fingers elsewhere, and our mind tries to protect us through fear, and anger and manipulation. Our mind is a strong force pulling us into our humanness and away from a universal connection of love. Deep within you, this is who you are, simply a bunch of vibrating, beautiful energy that cannot be described with words. The word love is an attempt to express this way of being, this light that shines so brightly within every single living being. Yet, we are human. We do make mistakes. Our mind has its way with us and we believe it at times and we suffer. This is our humanity, our spiritual gravity. In order to free ourselves from this weight, we have to go back to that mirror of ours. Look beyond the flesh and bones. Truly get that there is no where else to look. Go ahead and point your fingers into the mirror as they will keep coming back to you. You alone are responsible for the creation of your life. You create and you choose. Life happens. Set backs are inevitable. People are human, they make mistakes and hurt each other. Death will happen. And……everything happens exactly the way it is supposed to. Doesn’t this thought alone free you from this spiritual gravity? My pain is your pain, yours is mine. Every breath, every living creature is an expression of me. Any thought or action in different to this is an obstacle to my path back to the source. Any thought away from love and compassion is a thought binding me to suffering. As Buddha stated, ‘we are our thoughts- what we think, we become.’ Our mind binds us to this human baggage and holds our thoughts in anger and fear. Our lives become this. We become a set of thoughts and actions that experiences life through these very near-sighted lenses. Our light becomes dim and even vanquished. Our possibilities become limited. We suffer and become lost. Breathe. Everything happens exactly how it is supposed to happen. Everything. Put aside your anger, your fear. Let the world knock you down, find gratitude for these moments, and get up. These moments are priceless. As the Tao Te Ching states, we cannot find light without darkness. It is in this extreme darkness that light shines the brightest. With love and gratitude our light will shine. 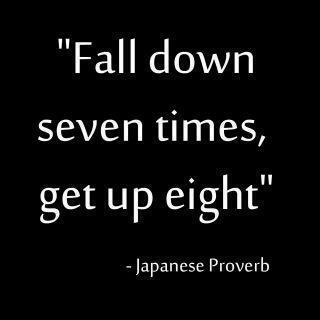 In this I say to the universe, knock me down as I will simply get back up again. My spirit is insurmountable. I will exist and it is my choice in how I exist. I choose gratitude. I choose love. Take accountability for life. It is a product of your thoughts and your actions. There is no where else to look. Be insurmountable, get knocked down, find gratitude for this moment and GET UP. Always GET UP. Choose who you are on this planet. BE LOVE. Human beings avoid change. However inevitable change may be in life, we find ways to ignore, delay, or avoid it. We mask ourselves by becoming complacent, by pining for the past, by hoping for a different existence. We hold onto the status quo with a vice grip that blurs our vision into one of no possibilities. We hold onto a context of life that clings to the static yet asks why isn’t life different. We live in this prism of suffering shackled to a life as a victim. 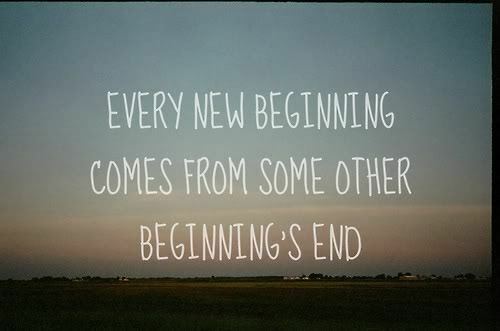 Yet, new beginnings surround us be it a new birth, a new job, a new love, a new day. These new beginnings fill us with hope, with anticipation, with possibility. When we allow our minds to truly put aside that which is complete then we are open to new experiences. We see life in a different light. We realize that life at every moment is a new beginning. Every end is a new beginning, every moment is fresh, is new. My life is at this point right now. I am in a new job, I am working on publishing my second book, a fiction book titled ‘In Death and Living’ based on a short Zen story. I am looking at new places to live, I am moving to a new phase in my relationship with my girlfriend and various friends. Life moves as it always does. There is no power in this world that can stop life from happening. At times life brings rainbows and smiles and at times it brings tears and extreme challenges. It is easy for human beings to put blinders on and see life through a certain lens be it rose colored or black. We begin to expect life to be a certain way, or we begin to long for the way used to be. We build lives on hope and pray for things that we need or lives that we deserve. When life plays out in a different manner and our expectations are not met we feel frustration and sadness in that our lives are not what they are supposed to be. At every moment as we filter and process life, a larger existence is happening all around us. The brain processes 400 Billion bits of information every second yet we are aware of only 2000 of these. We miss life happening at every moment. If we remove our blinders, if we remove the concept of good or bad, if we remove the expectations in life then we can start seeing life and the world just as it is……beautiful in every moment. When we can take in life as it happens without creating meaning around it, or holding onto moments grasping for a different existence then we can truly create a life with continuous NEW BEGINNINGS. From this state of nothing we can create a life at every moment. There is no right or wrong or expectations in how things should be. We then take in and live life from an open existence and begin to EXPERIENCE all of the things around us that we have been blind to our entire lives. It is said that when Columbus anchored in the new world the natives could not see the ships docked off the island. These natives had no concept in their minds of a schooner ship so their minds could not grasp the reality that these ships were anchored immediately off the shore. This is our life. We are blind to so much life around us as our minds are focused on outcomes and expectations and not on being and experiencing. We run the hamster wheel to our death bed longing, expecting, and hoping and we die missing the grandiose of our existence. When we empty and come from a place of nothing, we begin to see. We begin to hear. We begin to taste. We begin to feel…..We begin to live. We have no expectations. We are here, exactly where we are supposed to be living exactly the life we are supposed to have. Look around, see this world, there is beauty, grace in front of us at every moment. Until we let go we cannot see it. Until we find this emptiness we will suffer. Until we allow ourself to BE at every moment we will sprint through this blink of a life and never find peace. Embrace new beginnings. Allow yourself to create these new beginnings at every moment. Allow yourself to find grace and beauty at every moment of your life. You are creating your world. Be love, be peace….this is your choice. Inspect your life and find where you long for things to be a certain way. Find where you have expectations and be present to these areas. Be excited for new beginnings. Be excited for creating new moments in your life. Begin to create your world. Choose every state of your existence. BE your world. Be Love. Be peace. Be grace. Buddhists talk about the veil of illusion. The illusion that this life is static and permanent. We become absorbed in this cloak of SELF and believe that we are this baggage of flesh indifferent to the true self that is contained within and filled with vibrant, endless, universal energy. Our lives become an extension of this SELF in fulfilling superficial wants and desires. Our fight in life is to satisfy the desire of the personal SELF. Our existence is from the context of ‘How can I benefit’ or, ‘what’s in it for me?’ We act on our desires or out of fear to satisfy the SELF. We journey through life in this me first mentality indifferent to the pain and hurt we inflict on others along our path. We spend our existence on this planet as if it is one of only THIS lifetime. This is shortsighted and small. It is an existence of SELF and ego led by fear that keeps us limited and contained. We are not this body. The Tibetan word for body is lü which translates to that of luggage or baggage. This metaphor is perfect as our body is simply baggage carrying our true self as a transition to another form. If this is the case, what are we fighting for? An empty vessel that in earthly terms could be gone in a moment and in universal terms is over in a blip? We are powerful beyond any comprehension. We can create anything we put our energy and commitment toward. Inside we itch to stand for something. We itch to fight for something beyond SELF, beyond ego. We stand on this planet in this form to FIGHT for this transformation beyond the individual to that of a collected consciousness. Strip away our fear, and our ego and we are boundless energy, universally connected that at its root is simply LOVE. We serve on this planet to connect and transform all living beings to a version of LOVE that is individual defined. Buddha means the awakened one. When we connect at this level to the level of love we are awakened to that of universal beings. Fear no longer exists. We are left with no barriers, only a clearing to connect and transform. We are left with something to fight for. What are you willing to fight for with this life? Pick up the paper, walk the streets, travel. Suffering, injustice and ill-treatment to living beings abound in this world. We can pass this by and tell ourselves it is not our issue, yet if not you, then who? If not now, then when? The time to wake up is now. The time to fight is imminent. All we have is right now, this very moment. There is no other time. Find what moves you in life. Find what gets you out of bed. Find your passions and what calls to you. FIND what you are willing to die for. Stand in this space and be unmoved to all that come at you. Be unmessable in this commitment and stand. Fight for this. You don’t have to fight for world peace. Be committed to making a difference on this planet in your terms. It might be a commitment to family and you create a commitment and a stand in how families can work in this world. It might be a relentless commitment to love. Be a stand to another with your heart. Give it freely and fight for your love and do not let anything come between this. This is worth a life in this vessel in giving love freely. There is no greater purpose than giving your heart filled with compassion and love. Awaken yourself and find a commitment that lasts beyond this body, this life. Let them speak of you as what you stood for on this planet. Let the words embody the spirit of your commitments and the living beings you touched and transformed in this form. As you give LOVE in this form the ego and SELF dissipate into a meaningless whisper that no one can hear. The universal melody of LOVE drowns out any of this noise. There is no greater power and nothing higher than to fight for with all of your being. Awaken. Find what moves you. Find what pulls you out of bed in the morning. Find what eats at your soul that you are NOT willing to tolerate anymore. BE LOVE…..there is no great power. 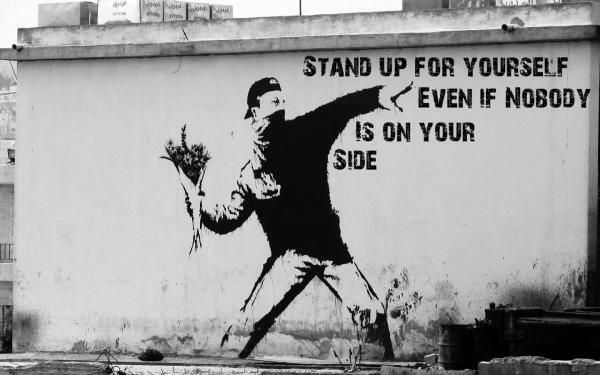 Stand up for what is right even if you are standing alone. True power comes from within. True power comes from standing for who you are and what you believe in the face of NO AGREEMENT from the world or yourself. True power is removing all barriers within and standing for something bigger than yourself. As human beings we look everywhere for this power. We read books, watch movies, listen to speeches. We surround ourselves with superficial masks to display our Peacock feathers. We flaunt these feathers proudly with our big houses, our cars, guns, and trips. We take on this faux power as if it is ourselves and we treat others as if they have no power. We treat them without integrity and love all to beat our chest and bellow our primal screams. Yet, at the height of our screams, when we are alone, we know inside we have no power. We know that we are filled with fear. We are filled with anxiousness and anger. We are filled with emptiness. We stand for nothing. If we were to stop this dance in life, what would be left? If we removed all labels in life, What would we feel? If everything was removed and we stood naked in this world what would we find? The uneasiness in the pit of your stomach is the gap between your true self and the play that you are acting as your life. The anxiousness that is left is your mind asking “If I am not this creation, then what am I.” Your mind wants to fight for this creation. It wants your ego to develop into a SHOUT that screams…Hear me, See me, I am something…LOOK AT ME, LOOK AT MY THINGS. This gap is the gap between your mind and your intuitive heart. Your intuitive heart sees no distance between you and anything else in this Universe. Your intuitive heart comes from a Universal pool of love that innately understands we are all vibrating energy and connected. The fear and unrest we have comes from the barriers we have built against our intuitive self. The further we remove ourselves from this universal pool the greater the unrest. We spend our lives fighting. We fight to be heard. We fight for money. We fight against those that oppose us. We fight, but what are we committed to in life? What do we stand for? As a martial artist I am often asked what I am fighting for. The answer is simple and is the root of martial arts…..I am fighting myself. 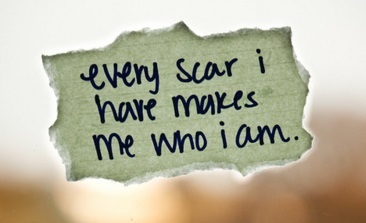 I am fighting to remove all fear and obstacles within myself. Standing in this space I am left with a commitment to better myself everyday. I am left with a commitment to LOVE. Look at your life. What are you telling the world with who you are? What are you fighting for? What do you stand for? When you really get the creation of the YOU that you presenting to the world and you let this go then you can begin to create from nothing. In this emptiness you have everything. You can be and create anything that you want. You can actually stand for something beyond yourself. Stand in this place. Stand in your purpose on this planet. Stand in what moves you. Human beings have been in existence for what is a blip in the time of the Universe. 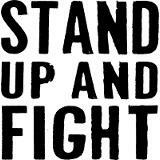 Our lives will be over in an instant….get up…stand up for what you are committed to in this lifetime. Stand in this in the face of any opposition. This is where you will find your power. Stand up and we stand together. Get clarity on the YOU that you are presenting to this world. Get present that the roles and labels you have created is NOT the true you. Fight the fight within yourself and remove these barriers and find what you are COMMITTED to on this planet. Stand in this commitment in the face of NO AGREEMENT.